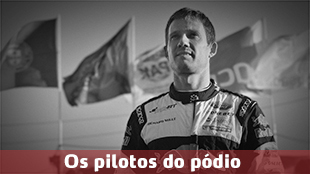 Founded in 1903, Automóvel Club de Portugal (ACP) has always paid a very special attention to motorsport in Portugal and it is responsible for the organisation of the most important events from the international calendars. It was no surprise that, in 1967, ACP put on the road the first edition of the TAP Rally, a competition which, within a short time, conquered enormous international prestige and, only six years later, joined the first World Rally Championship. 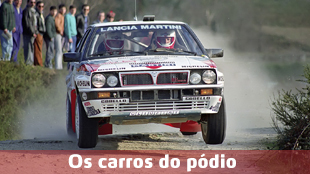 TAP Rally, and later Portugal Rally, has been responsible for glorious pages of success in World Championship history, having been awarded for five times the title of “Best Rally in the World”. In 2000, it was considered “The Most Improved Rally of the Year”. After having been withdrawn from the WRC calendar by FIA, the new ACP board, formed after President Carlos Barbosa’s election, worked very hard from 2004 to put the Rally de Portugal back in the WRC calendar, what was achieved in 2007, with the Algarve roads as scenery. As a result of the events rotation within the WRC calendar, Portugal Rally has been out of the 2008 Championship, but was back in 2009, receiving the unanimous applause from drivers, sporting authorities and Media. After a decade in the Algarve and Baixo Alentejo, the Rally de Portugal returned to its traditional scenario, the North of the country in 2015. In 2019 history has been made again with the return to the Centre of the country with the Lousã, Góis and Arganil stages.